Who’s The Best Prenatal Chiropractor In St Pete? 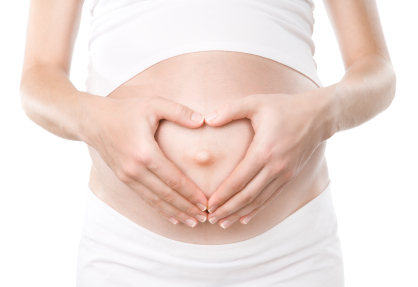 Who is the best prenatal chiropractor in St. Petersburg? This depends on how you define someone as being the “best”. In my opinion, the “best” person to take care of you throughout your pregnancy is a chiropractor who you trust, will educate you through the process, and who has received advanced post-graduate training in pregnancy and pediatrics. 1) Find someone who you trust and feel comfortable with. Whenever choosing any health care provider, find someone you can connect with. Follow your intuition and choose a provider who makes you feel comfortable when you walk into the office. 2) Find someone who explains what they are doing and why they are doing it. The Chiropractor should explain what is going on with your body during your pregnancy, how chiropractic care can benefit you, and what to expect during care. This allows you to be educated throughout the process and make informed decisions regarding you and your child’s health. 3) Look for a Chiropractor who is Webster Certified. The Webster Certification indicates the Chiropractor has received post-graduate training specific to the care of pregnant women. If the chiropractor has received a CACCP or Diplomate status, this means that they have taken more than 200 hours of advanced training and have gone through rigorous testing to achieve this status. You can look on the International Chiropractic Pediatric Association (ICPA) website, icpa4kids.com, to find Doctors who have these advanced certifications. This website show the chiropractors who specialize in pregnancy and pediatrics. At Blossom Family Chiropractic, we care about the health of you and your family! Our mission is to serve and educate the St Pete community about true health. Dr. Savy has received advanced training in the management of infants, children, and pre-and postpartum women, is Webster Certified, and has received her CACCP certification. If you have any questions regarding chiropractic care during pregnancy, or would like to make an appointment to get checked, please contact our office at 727-498-5643 or email us at blossomfamilychiro@gmail.com. Do you have a chiropractor that you have used during your pregnancy? What criteria did you use to select this chiropractor? https://blossomfamilychiropractic.com/wp-content/uploads/2016/06/best-pregnancy-chiropractor-st-pete.jpg 287 418 Savy Irby https://blossomfamilychiropractic.com/wp-content/uploads/2019/01/blossom-logo-grey-l-1030x216.png Savy Irby2016-06-02 13:49:052016-10-26 12:26:32Who's The Best Prenatal Chiropractor In St Pete?